The ultimate romantic Bali holiday, seven nights on the sun kissed golden beaches of Bali with time to relax and enjoy each others company. When you arrive in Bali a local guide will meet and transfer you to the Breezes hotel in Seminyak, one of the islands most vibrant areas. Spend long lazy days around the pool or making the most of the calm, warm water and sandy beaches. 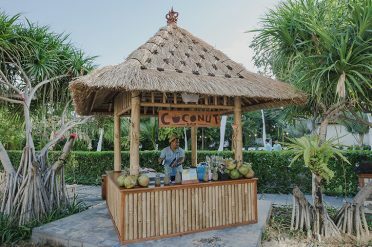 If you tire of lazing around, indulge yourself with a traditional Balinese massage on the beach under the shade of tropical palm trees. Alternatively, spend a few of your days exploring the picturesque Balinese countryside, you could visit the Royal Temple at Mengwi, take a gentle stroll through the sacred Monkey Forest, before heading off to a spectacular sea temple just in time for a memorable sunset. Don’t miss the artisan’s village of Ubud where you will find galleries and shops to browse in. Your evenings can be spent sipping cocktails on the beach or watching the magical Barong dance, a must for anyone wanting to get to know a little about local Balinese culture. 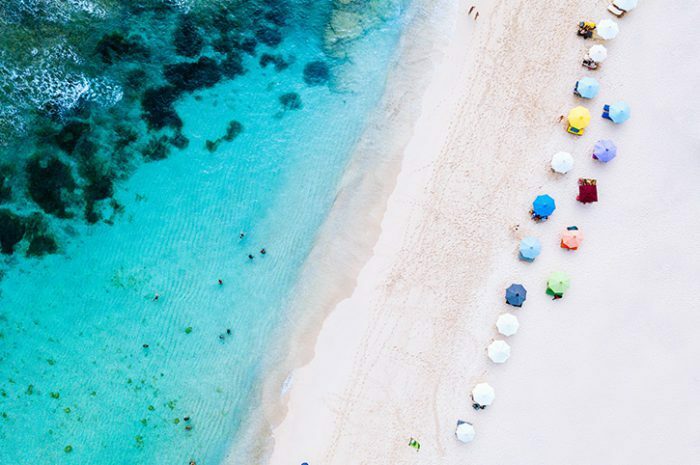 Bid a fond farewell to this charming island, you’ll leave with memories of an unforgettable holiday. 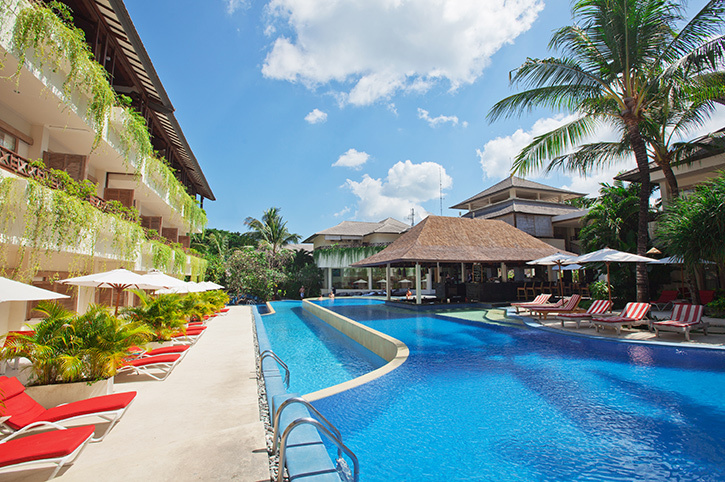 Bali Beach – Sanur offers a mix of authentic Balinese or contemporary style resorts. Nusa Dua is a purpose built resort with modern upmarket hotels, whilst Seminyak offers a mix of trendy mid and upmarket hotels. Offer: Save up to 30% on new bookings until 30th April 2019. Valid on stays between 1st April – 14th July and 16th September to 31st October 2019. Subject to availability, season variations may apply.